Beach Clubber, Dakota Glidewell, is a hometown hero. 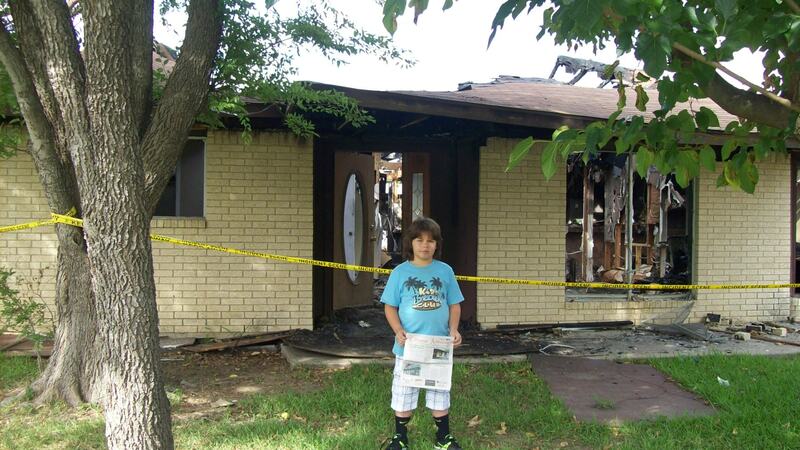 On Friday, August 2, 2013 at approximately 12:45pm, Dakota went outside his home in Coppell, Texas and noticed smoke coming from his next-door neighbor’s house. He immediately went back inside and alerted his family and the Glidewells called 911. The family lost many belongings, but all family members, including their pets, were not harmed. Thankfully Dakota noticed the fire and acted quickly before it could have turned deadly. Dakota attends KiDs Beach Club at Wilson Elementary, sponsored by Coppell Bible Fellowship. This story was brought to our attention as reported in the August 9 edition of the Citizens’ Advocate by Behdad Jaffri.